Consumerization of IT forces enterprises to rethink their approach to IT service delivery. What does consumerization really mean and why does it matter? Understand the basics to accurately identify the practical implications and benefits for your organization. 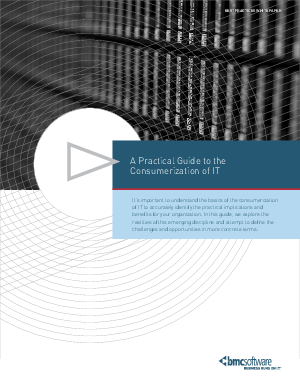 This guide explores the realities of IT Consumerization to define challenges and opportunities. Learn best practices and get actionable recommendations.